As you may be aware, traditional soldering pans are wonderful but quite pricey ($50-60.00 for a large pan). I own one and can’t imagine working without it but they may be in short supply if you are an instructor at a facility with limited resources or on a limited budget for your own studio. In this article, I’ll show you how to make one fairly economically. 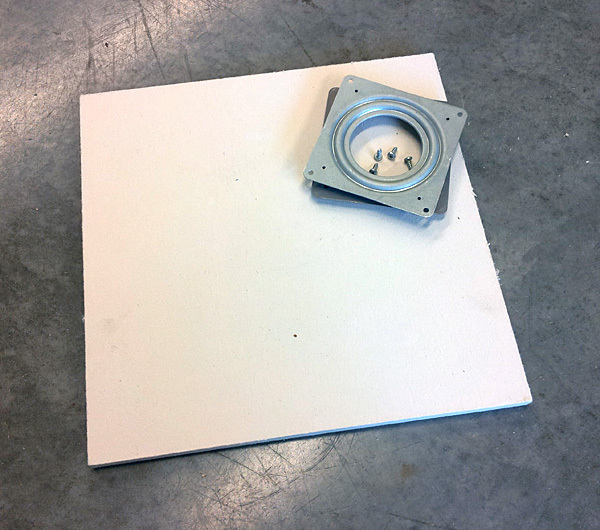 You’ll need a small lazy Susan (screws included) which you can purchase at a well-equipped Ace for around $5-6.00. You may have a lazy Susan on something else in your studio you really don’t need to rotate so if you can cannibalize it from something else, go ahead. I’ve pulled them off of flex shaft tool caddy before. You’ll also need a hard 12-inch SolderiteTM board which costs about $24.00. You could get away with a 6-inch board if that’s all you have. It will work just as well and costs less than $10.00 (prices taken from the Rio Grande website). Take a ruler and pencil and mark lines from corner to corner. Here’s the trick to centering your Lazy Susan under the board: line the screw holes up along the pencil lines so that each line bisects the holes. 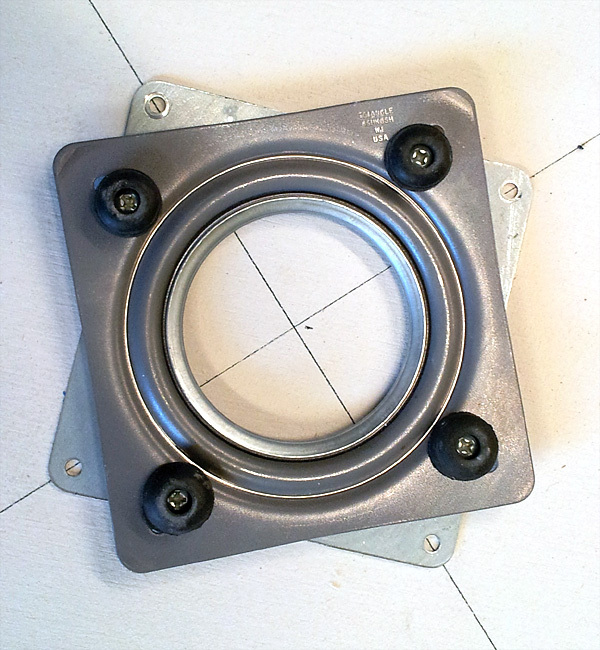 When all the lines bisect the holes, the Lazy Susan will be centered. No other measuring required. Line the lazy Susan screw holes up with all 4 lines. 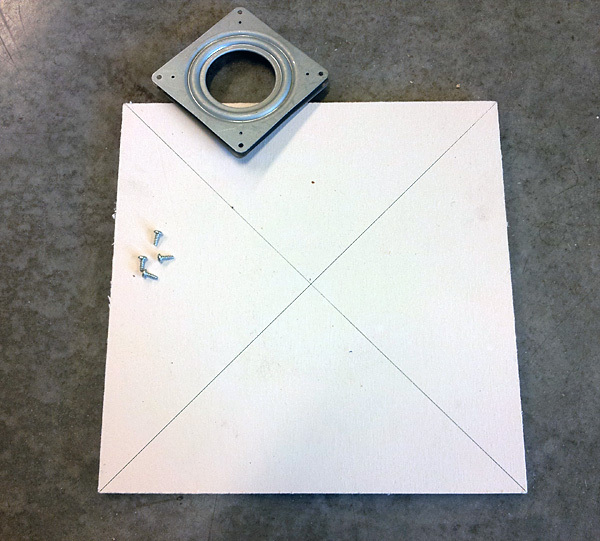 When all the screw holes are centered over their respective lines the lazy Susan will be centered on the board. Once you have the Lazy Susan positioned, insert the screws (they should be fairly short- you only have 1/2 inch thickness on the board) and secure the Lazy Susan to the underside of the Solderite board. You can pre-drill if you like but I just started squirming them in until they caught since the board material is fairly soft. The finished rotating soldering tray. Put a second board on top of the first one to keep it clean so you don’t have to replace it as often. This is optional. 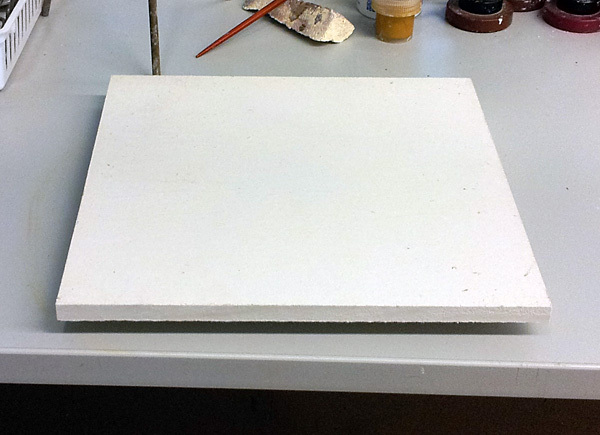 Alternately, work on top of the board with a kiln brick. 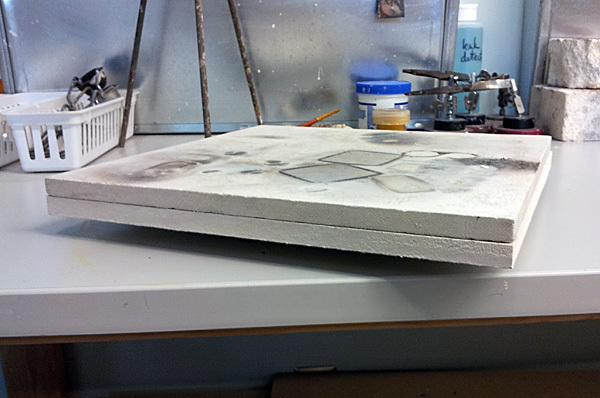 Finished tray with a protective board on top. Finished tray with soldering brick, which is my preferred soldering surface. 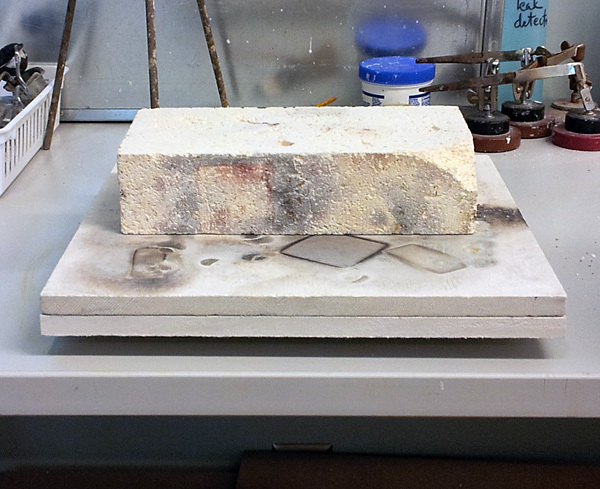 I prefer the soldering trays with pumice so that I can level my brick as needed but this quick and economical alternative is already pretty level and works great in a pinch. It took about 5 minutes to assemble once I had all the parts.